A devastating wildfire in eastern Tennessee exploded in coverage last night due in part to very high winds. 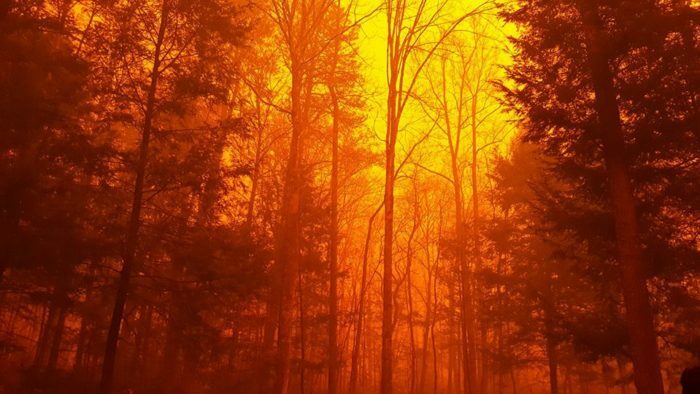 The fire spread quickly into Gatlinburg, TN and surrounding areas prompting evacuations. Hundreds of homes and businesses were burned, including the Park Vista Hotel. The city’s Fire Chief, Greg Miller, says that about 14 buildings remain ablaze as of midday Tuesday. Severe drought conditions, very low relative humidity, and gusty winds all contributed to the growth of fires in eastern Tennessee on Sunday and Monday. 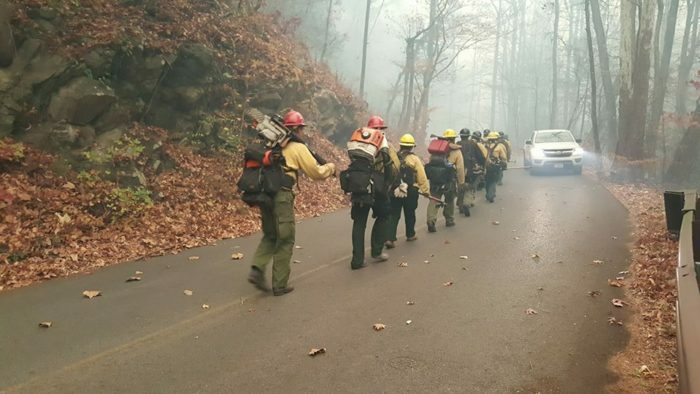 The Great Smoky Mountains National Park tried to suppress the spread of the fires on Sunday with the use of helicopter water drops, but with winds gusting as high as 80 mph at times, the effort proved to be futile. As of Tuesday morning, the Tennessee Emergency Management Agency reported three burn victims listed in critical condition were being treated at an area hospital and that there were no known fatalities. Fire crews report they have taken 12 patients in for fire related injuries. Approximately 1,300 evacuated people have taken shelter in places set up by the Red Cross in both Gatlinburg and Pigeon Forge. Park officials have closed The Great Smoky Mountains National Park due to “extensive fire activity and downed trees.” Their website states that the Park Headquarters is without power and phone service. A fire restriction has also been issued. The ban on campfires and open grills throughout the park is in effect until further notice.